18 year old Philippe has just started the next level of his education at the University of Antwerp in Belgium. The first level was called life as the wind shifted and took his dreams out of his hands. Such an inspiration this young man is. 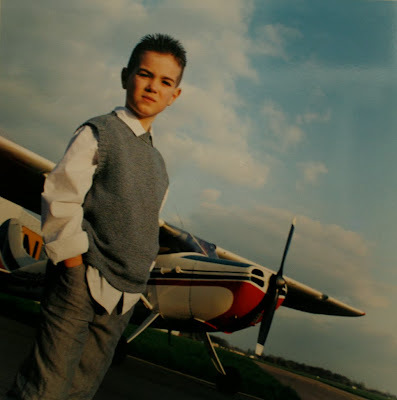 Since he was three years old all he wanted to do was fly. 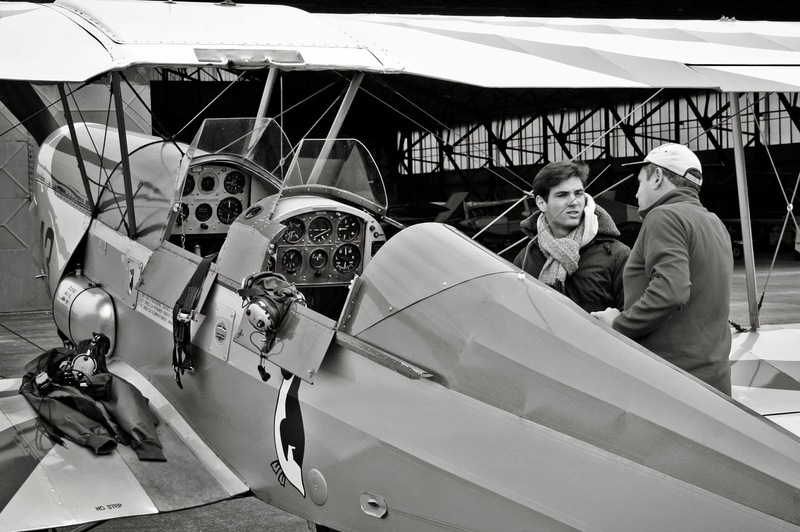 His father is a pilot, and grandfather a balloon pilot, and they both inspired Philippe to follow them into the sky. He had planned to be an airline pilot. When he was a young boy his dad would take him to the airport and taxi in his Cessna 170B. 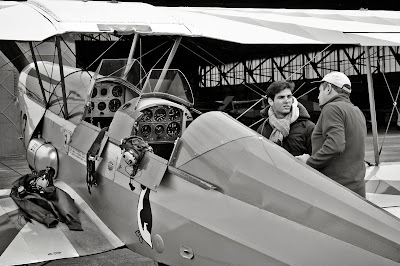 He never flew with his dad back then because of his mother's concerns, and his father eventually sold the plane when he was six years old. 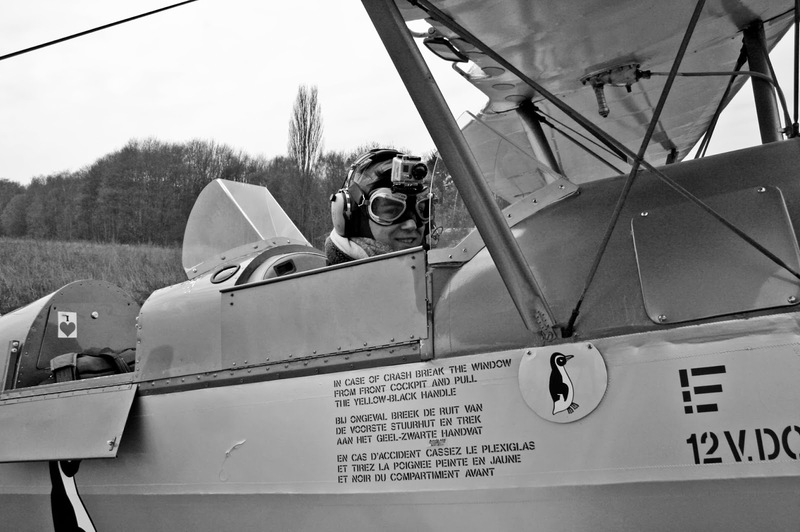 But that did not stop Philippe dreaming about flying. He wanted to continue what his father had started. But as life may have it, something altered his life... but not his ability to dream. Unfortunately Philippe was not able to get his European medical. But he did not give up. He applied for a 3rd class medical in America and flew all the way to Florida to achieve his childhood dream. "It’s pretty hard to describe finally achieving something you have dreamed your whole life of. As for my life, basically I want to make it and be a happy man. Have a nice job, have a nice family, have many good friends and have the time to fly! Maybe even combine it with my job. My studies concentrate on both science and economics and aim at a job of management level but with a scientific base. As far as I know there are some aviation related companies that combine those two things. I would really like to move on to commercial flying! But well I am very happy to have a third class medical, flying commercially requires a second class medical. I am pretty sure I won’t get one because of problem with his eyesight." What does an 18 year old student do in his spare time? "I don’t have so much spare time, but I have some I’m either at home just doing nothing, relaxing, playing guitar or the piano. If not at home I meet friends or occasionally work to make some money to afford the flying! There are really a lot of places I would like to see. I think every country, continent has got their own factors and romances which makes it so very hard to choose just one. Africa has really inspired me though. I’ve been in Uganda last year and although I only saw just a tiny bit of it, it was the most beautiful place I had ever seen. Being a bush pilot as a volunteer over there is one of my crazy dreams! Making a road or air trip through America (North & South) is also one of them. But then that also counts of Australia so well as I already said I would like to see soooo many things." "My pilot ‘career' is still very young and the possibilities are probably still endless. The Bachelor and Master of science in Economics: Applied Economic Sciences: Business Engineer is a five year course with very broad subjects. It aims at people wanting to work on a management level but with a scientific background, actually to fit in where pure economist miss knowledge. For example: an aviation company wants to make 10% more profit. As a business engineer you know what it means to make 10% more profit, but you also know how to realize it together with a team of scientists and technicians. That is also the main reason why I choose this course, and not just economics: this makes it able for me to work in the aviation industry. The possibilities are wide: it could go from working in the management team of airline from working together with the designers of aircraft manufacturers to the space industry. The University also offers special colleges by e.g. Airbus in the faculty of Applied Economic Sciences. I hope the road will lead me in that direction these 5 years and the rest of my career." 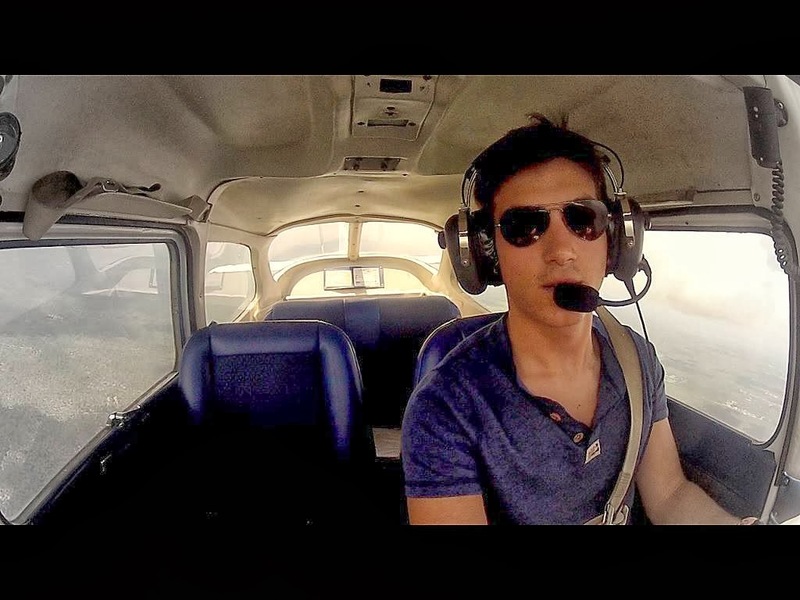 when it turned out I couldn’t be an airline pilot." I understood that there where so many more possibilities than just flying for a living. As a kid I kept on searching and searching for a way to get me into the air and eventually I found out the FAA offers third class medicals. So I went to the doctor, finally got my medical and that was one of the happiest days of my life! I understood that my dream of flying was about to come true, even though as a tiny private pilot, but that was good enough for me. The old fashioned stick and rudder, tail dragger flying inspires me much more than engaging the auto pilot. In those airplanes you feel just so free and that’s really what I need in flying: enjoying myself, doing what I always wanted to do. The more complicated the whole concept (not the airplane) becomes, the less I can enjoy it. For example: in the USA, it was just so simple to rent an airplane, hop in and off you go. Here in Belgium and even Europe it’s worse. Much worse. Fuel is expensive, you have to pay landing fees, the airspace is much less accessible and since I have a FAA license, I need either a N-reg or G-reg aircraft which makes it even harder to find something affordable and enjoyable. I really hope one day it will all change and that the FAA and Europe will work together and make it possible to also fly e.g. Belgian Cessna’s with an FAA license. I haven’t been able to fly in Belgium since my return from the US simply for those reasons. What I still would like to do is: my taildragger endorsement. I didn’t have the time for it in Florida, but that sure is number 1 on my list. Further on, I have a lot of flying dreams. I’d like to fly the lakes in Canada, make a trip through California and Nevada, do island hopping in the Caribbean, make small trips with friends and flying clubs and of course Africa. What you should be as a leader is being inspiring, creative. Making your team want to work with you and achieve certain goals, always try to make something just that little bit better than before and to never give up on something. If I think leadership, I do not think ‘one’ but I think about a whole bunch of people working together. I would say don’t let anything stop you from following your dreams. If you want to make something come true, there will probably always be a way to get there. I thought my eyesight would never get me airborne, but I tried hard enough and it worked. Motivation is one of the most important factors that will keep you going, how rough the road may be. What inspires me is that Philippe did not allow the medical challenges to control him, but to make the most of what he has and living life to the fullest. I'm thinking this is a pretty awesome attitude, and I'm looking forward to watching his success. Karlene, you made an awesome job. I think this Friday Flyer edit was the most epic version. You did an amazing job! The fonts, speeches, the way you placed the pictures, the text and obviously the interview! Probably my favorite edit in your blog. And I see one happy man next to those girls! lol! Yes, I wish you success in life. And I'm jealous of your university course choice. I wish there was one similar model in Brazil. Alex, Thank you so much for the help interviewing Philippe! Also... when you get into school... you'll make it what you want. So... I say fly full steam and stay connected to Philippe. Another great Friday Flyer! Thanks for writing in Philippe and thanks for sharing Karlene! His attitude will surely carry him far, as seen by his determination to overcome some medical problems. Thank you for your comment Swayne! Attitude is everything. What an inspiring story Philippe. Makes me think my excuses are pretty lame. I used to live in Antwerpen, and I must say I have longed to go back and fly across the Belgian countryside. My heart aches to go back there. So while I also understand wanting to go all of those other places to fly, I want to go to those places too, make sure you never overlook the cool flying that may be in your own backyard. Dave, I love this. Especially for this week. Being thankful for what's in our own back yard. And one day you will fly across your countryside once again. Thank you for the comment!